Freeze Mister, drop the adult beverage and no one gets hurt. 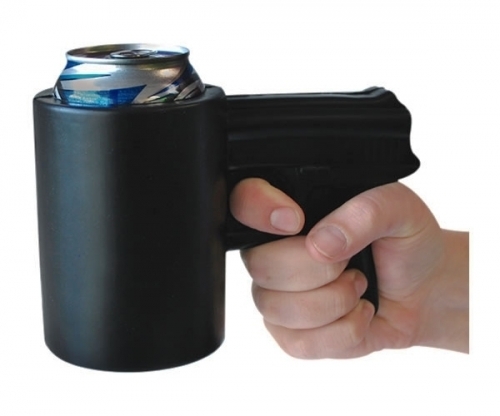 The Gun Can Holder keeps your drink safe from thieves, and they’ll think twice before snatching your favorite brew. The Gun Can Holder suggests that odds are you’re packing more than just the six pack and might be willing to kill for that can. The Gun Can Holder is perfect for that hunter who owns more guns that the military or that right wing conservative who thinks an M16 for squirrel hunting is a great idea. Your drink is important to you and you deserve to know that it’s protected with the best. 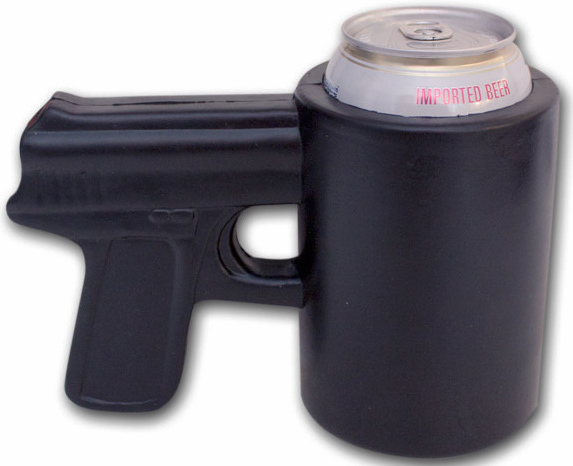 The Gun Can Holder is one koozie that no one’s going to mess with.